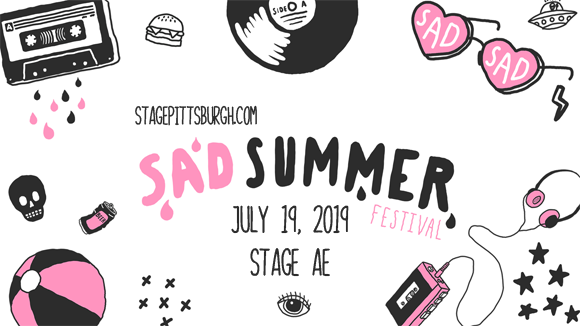 Grab the tissues and the sunscreen and get ready to yell at the top of your lungs as the inaugural Sad Summer Festival comes to Stage AE on Friday 19th July 2019! Offering a full day of music featuring headlining sets from festival organizers The Maine, as well as Mayday Parade & State Champs, as well as performances for a variety of awesome up-and-coming acts, Sad Summer Festival is the emo-fest we were waiting for! "This tour is about putting aside our differences and coming together as a community of people to enjoy music and art," Mayday Parade's Derek Sanders said. "I’m thrilled to be a part of it and I can’t wait to see everyone out there." Sad Summer Festival is a brand-new touring rock roadshow, curated by Arizona band The Maine! Making its debut this year, Sad Summer brings together a community of like-minded bands and artists for a mind-blowing showcase of epic music!